This entry was posted in billions, biomass, BLAST, forestry, full waveform, LiDAR, REDD+. Bookmark the permalink. I’m not quite sure how they calculated this but since it took my company something like 2 months of flying to capture over 4000km2, I wonder if they have properly accounted for the low lying cloud cover and terrain conditions for which rainforests are notorious and prevent high altitude acquisition so data capture will be much slower than they realize. Yes, seems to be more of a random thought bubble than any kind of sensible plan. Geography aside, one thing that I’m quite sure they haven’t accounted for are the complex political and economic realities of the (often impoverished and dysfunctional) tropical nations in which these forests lie. There are immense difficulties involved in terms of nationalism and heritage, strategic military implications, ownership and control over data, deploying low-flying aircraft over conflict zones, the fact that powerful interests will not want a fair an honest accounting of carbon stocks, and so on. A grand idea, but practically impossible to implement and therefore doomed. The future here surely lies with projects like GEDI which will allow the research community to transcend the narrow and parochial agendas of various parties on the ground. As we have surveyed in Peru, Colombia, Panama, Hawaii and South Africa, I would suggest we are quite capable of understanding the limits of our equipment, our environments, and our partnering countries. I flew those flight lines; I know what we’re up against. I think our major downfall will be framing all of our science policy goals in the context of Paul Simon songs. I am certainly a fan of the GEDI program, but it is not the only solution to the kind science that we are already doing. We can do global coverage. If nobody else wants to, we will keep doing it. Martin, still huge fans of your work over here. 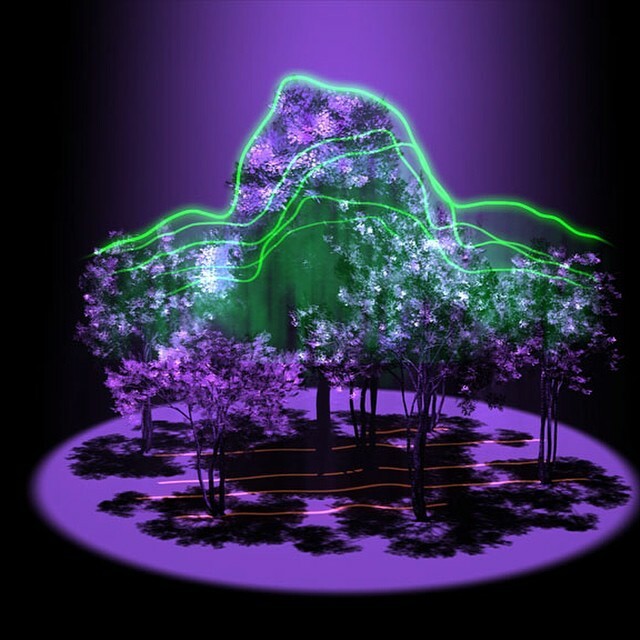 Thanks for that, but frankly speaking it comes as no surprise to learn that the authors have no experience at all with lidar campaigns in tropical forests outside the Americas. What’s been achieved in Peru is terrific, and is a model that could clearly be applied elsewhere. However, there are a whole range of very complex and quite specific reasons why lidar coverage is extremely limited in tropical Asia and Africa, and with all due respect, it’s not simply because the CAO team hasn’t turned its attention to the issue yet. A very strong case can be made that sensors that operate above sovereign airspace are the only viable path to reasonably comprehensive global coverage and monitoring applications, and I think we might be doing a disservice to that broader agenda by trying to divert limited resources to apparently unrealistic alternatives. Maybe the authors do have a plan that takes into full account the full political, cultural and economic complexity of the situation, but it’s difficult to draw much reassurance from the total absence of any detail in the publication, and it would be nice to eventually see it laid out. Sorry about that. Here are a couple of publications by one of the authors, a collaborator, and a stranger doing large-scale airborne LiDAR outside of the Americas. We know many researchers and survey companies working in these areas and neighboring countries. This is all possible. And while you are correct in asserting that we did not lay out a plan in our two page call to action, I believe you are incorrect in asserting that it is not possible. We are not suggesting that we will be the ones to solely undertake this project. As we have a team of five, establishing global coverage is outside of our reach. This paper is about reaching out the community and saying ‘this is possible!’. Your vague concerns that there are ‘specific reasons’ this isn’t happening don’t contribute to the real logistics challenges we face, which I am not trying to avoid. We have had to face them in each of our international campaigns. Others are currently facing them. They are being overcome. If we work together to push this forward and get support to overcome the biggest ‘specific reason’ this isn’t being done (money) then we can work towards lofty goal of global high-resolution biomass mapping.